Beary Good Massage, LLC is a fully licensed and insured animal massage therapy service specializing in canine and equine sports massage. Our staff maintains certifications in several massage therapy programs to provide the highest quality care for your animal. Cassie has always had a fondness towards animals. 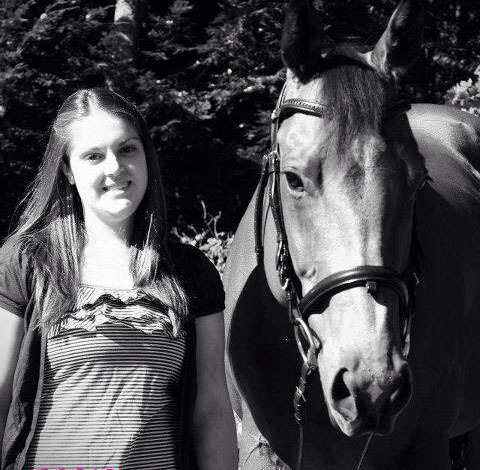 With over 10 years of experience working with horses and dogs she is known as a meticulous worker who is excellent at juggling multiple tasks and working under pressure. Cassie’s broad experience includes small farm barn help, equine dental care, male and foal reproduction, barn management, and equine emergency veterinary technician care in both field and on-site locations. Most recently Cassie obtained her certifications as a Certified Equine Sport Massage Therapist (ESMT) and a Certified Canine Massage Therapist (CCMT). Her wealth of knowledge and desire to continue learning ensure that her clients receive the best care possible.